Do Robot Vacuums Live Up To The Hype? 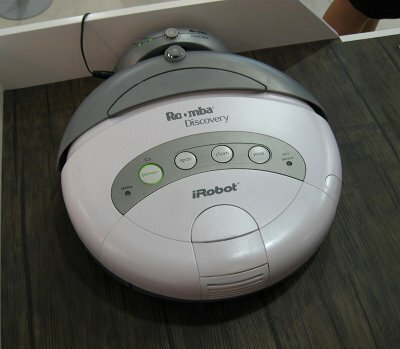 One of the inventions which has had a nice boost in popularity as of late is the robot vacuum. Many people dismiss this ‘automatic vacuum cleaner’ as nothing more than a gimmick however. Other people out there swear by them. So who is right? Let’s take a little look shall we? I am sure you already know about how a robot vacuum cleaner works. The general idea is that you switch it to ‘on’ and it will rush around your home cleaning everything up. It will use the walls of your home as a guide. In addition to this, the more advanced models are able to recognize when they are about to hit the stairs or not. The effectiveness and the ‘intelligence’ of the robot vacuum is going to be roughly based around the cost of the model. The more expensive it is, the better it performs. Generally, I would never suggest purchasing a cheap model unless it has fantastic reviews. There are plenty of reasons as to why people would want a robot vacuum cleaner (see this list of 6 reasons). The biggest reason though is for disabled people who find it difficult walking around their home in normal circumstances, let alone with a vacuum cleaner in tow. Of course, many people use them to save time. It is going to live up to the hype in both regards here. If you want something good though, and something that really does live up to the hype of a robot vacuum cleaner, then you are going to need to spend a bit of money. You are going to want features such as being able to set virtual walls, the ability to slide under your furniture when they are cleaning, being able to determine how much dust is on the floor, and perhaps more importantly, being able to detect a change between surfaces. Without these features then the robot vacuum cleaner isn’t going to work as effectively as you may like. In fact, it is still going to take a good bit of work to ensure your house is clean as the robot vacuum is going to require a bit of intervention. Therefore I do suggest that you make an investment and purchase something decent, otherwise there is no real benefit to having a robot vacuum cleaner. So is a Robot Vacuum cleaner worth the hype? In my opinion it is, you just need to spend a bit of money on one. Don’t worry though, spending a little bit of money is going to get you something that will last you years and years. The only real downside is that you are going to need to change the bag a great deal more often than a larger vacuum cleaner. For most people though, this isn’t going to be too much of an issue due to the other benefits a robot vacuum brings them. Make sure you look after it and it is going to last years without too much hassle. Michael Anderson is a home handyman and blogger who wrote this on behalf ofÂ Totally Home Improvement which recently published a report on low-cost robot vacuums. I want to see how this product works because it is very intriguing to see how a robot can be perform all the tasks compared to upright vacuums wherein they are being operated by people.